I made these cuties for Joseph's classmates and filled with jellybeans. 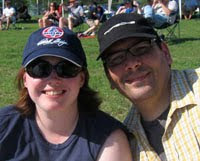 I'm quite smitten with them! I got the idea from Make and Takes. 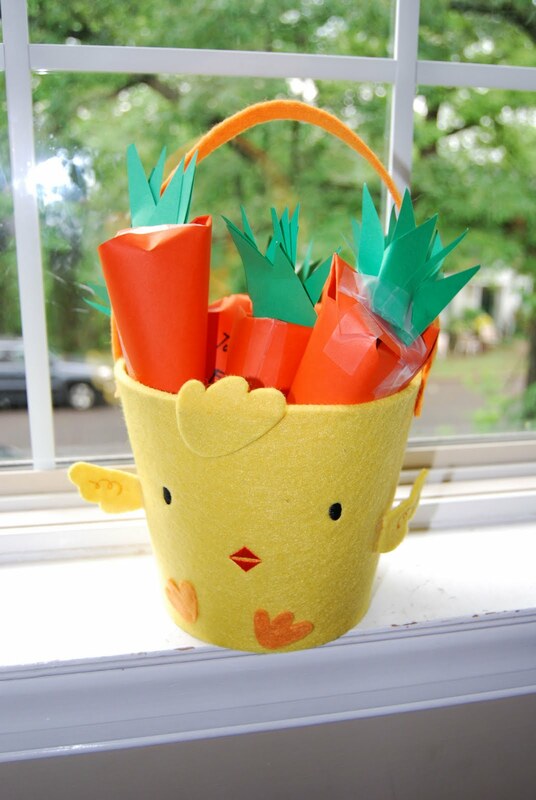 I made a basket full of carrots for Will's classmates. The carrots hold candy and a Hot Wheel vehicle. I was going to try making Martha's version with crepe paper but time was running out. 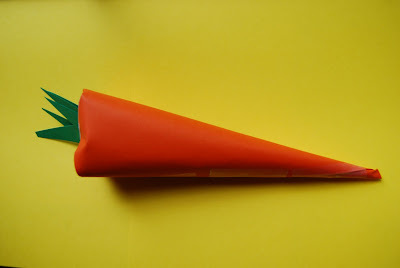 Instead I rolled orange cardstock into a cone, taped, filled, smooshed down the top and added green card stock stems. 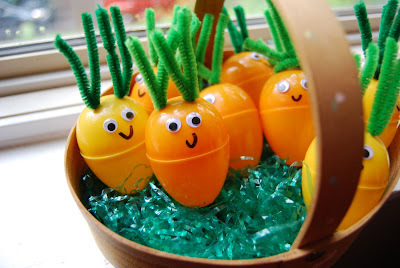 Your carrot eggs turned out great. Such a cute little basket. And I love the hot wheel stuffed carrots too, cute idea! Thanks for linking.